After our unsuccessful attempts at birding on Tarut Island and Saihat yesterday we returned to the Dammam - Al Khobar Wader Roost South but the tide was extremely high and no areas were left for birds to roost on. As a result many birds were on the waste land area behind the sea with Eurasian Curlew, Whimbrel and Greater Sand Plover on the sand areas. 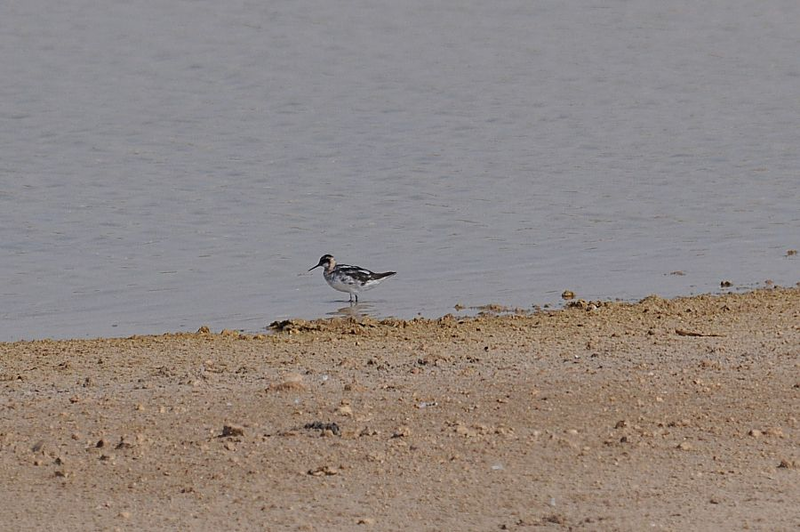 Many birds had also been pushed up onto a large pool and here Phil Roberts located a Red-necked Phalarope which was a new species in Saudi Arabia for me and the first time Phil has seen one in the autumn. It was also the first time he had seen one away from Sabkhat Al Fasl (Jubail). On this pond were two Green Sandpiper, twelve Lesser Sand Plover, Six Greater Sand Plover, eight Whimbrel, three Eurasian Curlew, ten Little Stint, two Black-winged Stilt and six Kentish Plover. 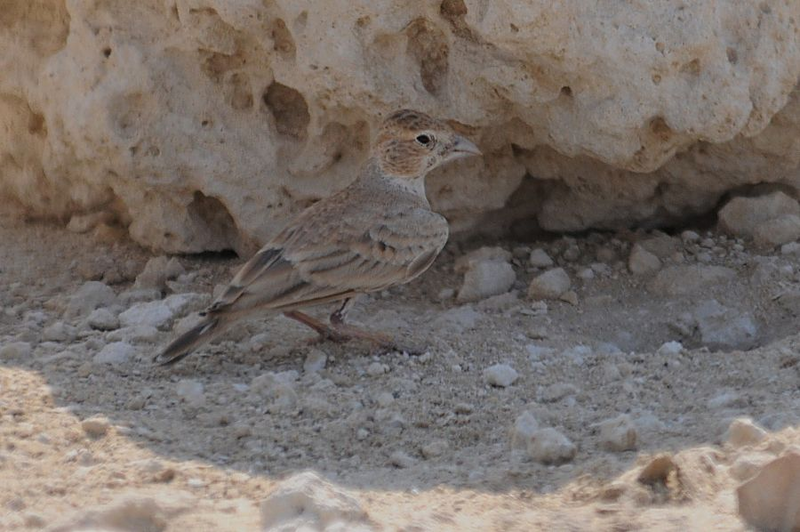 Also on the waste land were a few pairs of Black-crowned Sparrow Lark and a single Greater Hoopoe Lark. 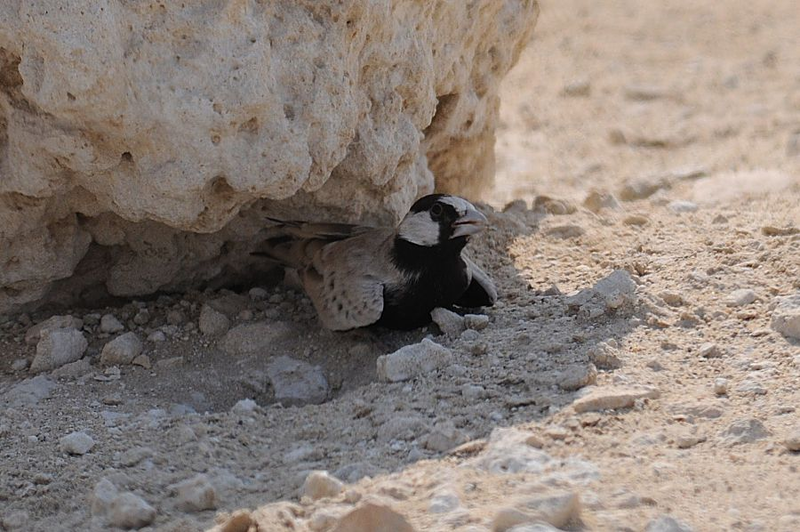 The Black-crowned Sparrow Lark where trying to keep cool by staying in the shadows of the small rocks and laying in small depressions that they had made.